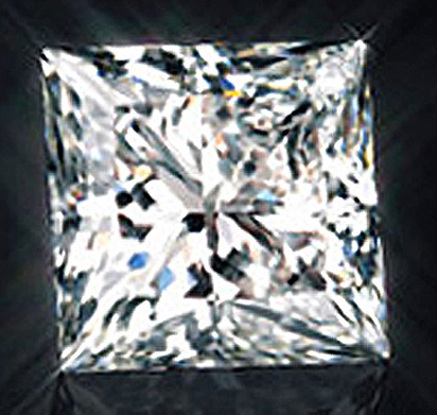 THE FIREMARK PRINCESS CUT DIAMOND: A revolutionary new cut for maximum brilliance! For the first time, a Princess Cut Diamond with brilliance that rivals an Ideal Round Diamond. Other companies have advertising slogans or tag lines that claim their diamonds are the most perfectly cut. But the FireMark® Princess Cut diamond has been put to the test by the Gemological Institute of America (GIA), the world’s foremost diamond authority, and the Gem Certification & Assurance Lab (GCAL), a leader in grading the light performance of diamonds. And the results are unprecedented! What distinguishes the FireMark® Princess? Patent pending “Double Crown” – additional facets and distinctive angles light return like no other Princess diamond in the world. Shallower depths – assuring that you do not pay for weight you cannot see. Smaller tables, exacting angles, even girdles and facets that are perfectly aligned to maximize the fire, brilliance and scintillation of the diamond. Available in Hawaii only through The Diamond Specialists, Inc. in partnership with DT Okazaki, Inc.